Due to gym scheduling conflicts, tomorrow we will have kendo only practice open to all levels. 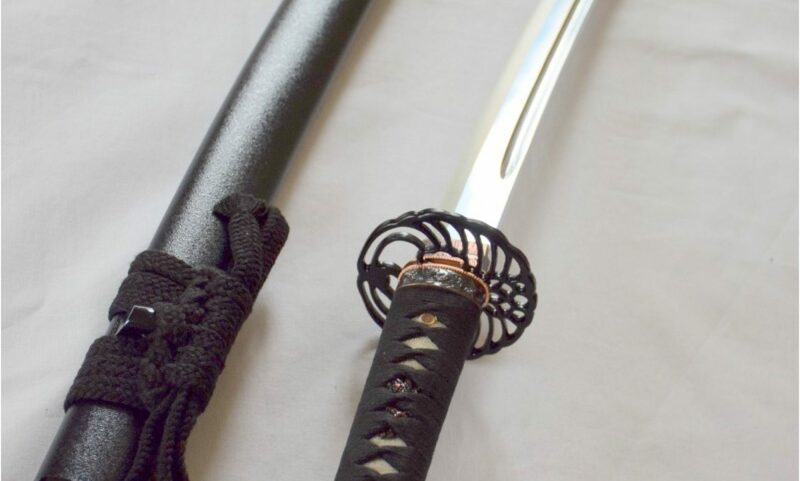 There will be no Iaido practice. The start time will be 7:30pm. Please start/renew your SWKIF/AUSKF membership application with Ashley before 3/6. ALL members who wish to attend seminars, tournaments, and testing events need to renew or join during this time. Attached is the form you need to fill in, print out, and turn in to Ashley. All payments and forms must be turned in together by March 6, 2016. If you are paying via Paypal, please print out a copy of your receipt and attach it to your membership application. Applications without a form of payment or receipt can not be accepted. One additional note: Due to AUSKF policy changes, anyone that is not a member already and wants to participate in events prior to April 1, 2016, will need to pay for 2015 membership AND for 2016 membership. The AUSKF Education Committee is excited to announce the first ever AUSKF Women’s Kendo Seminar, to be held on March 5-6 in Huntington Beach, CA. Yoko Sakuma 佐久間陽子 (5-Dan) was Captain of Team Japan for the 16th WKC, 15th WKC Individual Champion, and a member of the gold-winning Team Japan for the 14th, 15th, 16th WKC(2009-2015). Yukiko Takami 鷹見由紀子　(5-Dan) was the 14th WKC Individual Champion, 15th WKC Team Champion, and 16th WKC Individual 3rd Place. High-ranking women sensei from AUSKF are also scheduled to attend and provide instruction. Participants of all ages are welcome, but should be wearing bogu and be registered members of AUSKF. Eiga Brothers will be in Houston, TX on Wednesday February, 17 2016 as part of an AUSKF education tour. Please refer to below link for registration packet for further details. Please register with Ashley before 2/2. The 2016 Ito Cup will be held April 29-May 1 in Denver, CO area. There will be 5-person team match, women’s individual and shinsa. Seminar with USA Team Members: Yuji Onitsuka Sensei, Brandon Harada Sensei & Daniel Yang Sensei. We will be sending as many teams as we can, including teams from UTA and UTD should registration provide the counts we need to fill Dallas teams. Note that women are allowed to participate in BOTH the womens team and the 5-person team. We will do our best to slot members accordingly. Everyone who plans to attend the seminar and/or Taikai should complete a registration form and waiver (see pages 7-9), submit it to Simon, Zach, or Cooper Sensei, and submit a check made out to DFWKIK. Since team assignments have not be completed, please leave the team assignment section of the registration form blank. We will make the selection after we receive all registrations. All registration documents and payments MUST be submitted to us before Sunday April 3rd. Please do not wait until the last day to do so. Note: If you plan to order t-shirts, you MUST do so by April 4th, online. This should be reflected in your registration documents, and payment will be necessary upon submitting your registration. If you order a t-shirt in your registration document, you MUST go online to complete the order process. See page 9 of the packet. Note: If you plan to take the promotional exam, the process is separate from the seminar and Taikai registration. If you plan to test, please make sure you get Ichimura Sensei’s verbal approval before submitting this online SHINSA REGISTRATION form. The 9th US Nito Kendo Camp will be held at Boise State University Campus on June 17-19. More details at Idaho Kendo Club Nito page. Registration packet is here . Deadline is June 10, 2016. In June 23-27, our dojo will be honored to host the 2016 AUSKF Iaido Summer Camp. The designated hotel is Sheraton Dallas Hotel by the Galleria, at 4801 LBJ Freeway, Dallas, TX 75244. A special rate of $109 (incl. free breakfast and parking) is available for booking before May 23, 2016. Here is the 2016 AUSKF Iaido Camp RegPacket. The due date is Friday, June 3, 2016.